Húsið (The House) at Eyrarbakki is one of Iceland’s oldest buildings, built in 1765 when Danish merchants were allowed to overwinter in Iceland for the first time. 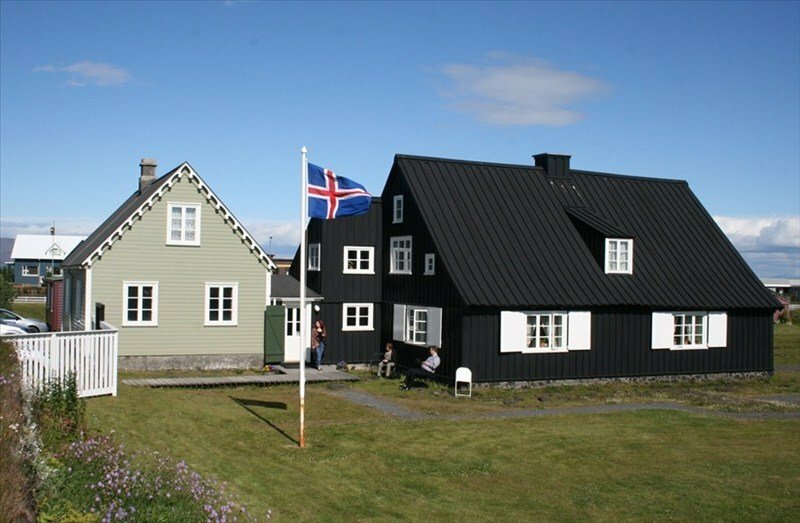 Merchant families lived in the House for almost two centuries and over that period the House was the center for art and European culture in Iceland; fashion, music and literature spreading from there throughout the country. Eyrarbakki village was at that time one of the largest harbours and trading places in the country, serving farmers along the coastline from the extreme west to the extreme east. At the Árnessýsla Heritage Museum’s varied exhibitions in The House, visitors can experience past times and learn about the remarkable history of the building. 1th May – 30th Sept. Daily: 11-18. And by arrangement. 1th Oct – 30th April: By arrangement.